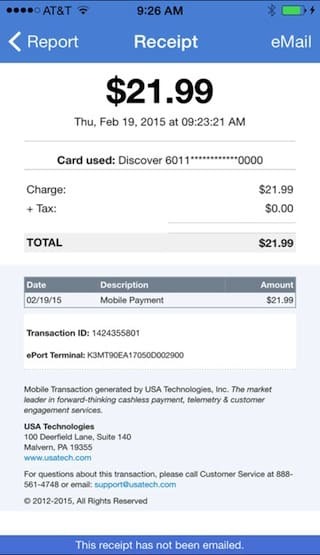 ePort Mobile is designed for credit card payment transactions. We have developed iPhone App of ePort Mobile for USA Technologies. This app connects to the USA Technologies Connect Services. 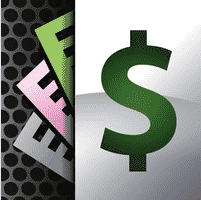 ePort Mobile bypass merchant account and directly deposit funds into user account. At Simpalm we incorporated PCI level securities and encryptions for secure credit card payment transactions. ePort Mobile support external card reader to make easy transactions. App will redirect user to USA Live web portal. User needs to sign service agreement and complete account setup process through USA Live web portal. 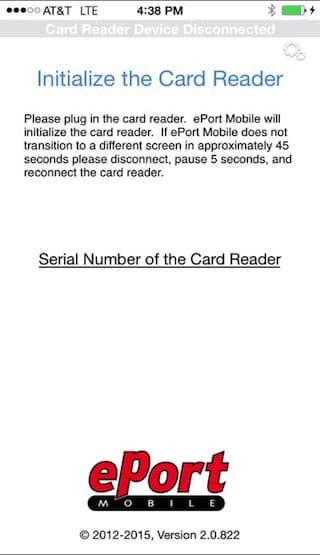 User can initialize USA Connect compatible external card reader with the app and connect. 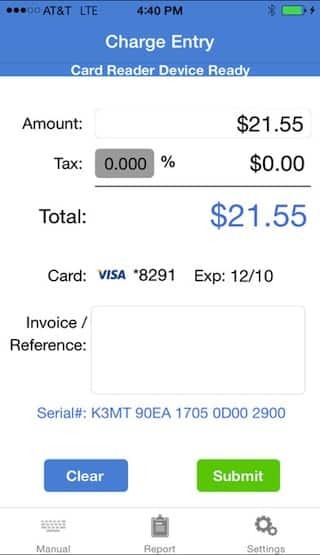 User can swipe their credit card and charge their credit card. 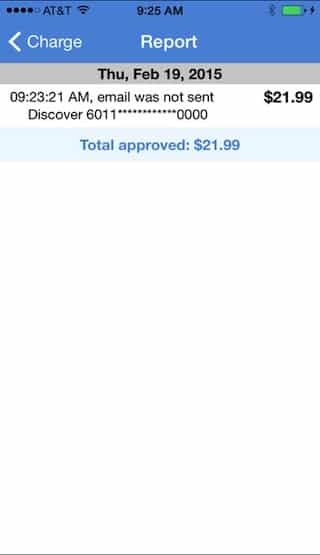 User can calculate and add sales tax. User can add tips on the principal amount while transaction. User can digital sign and confirm transaction. Signature will be uploaded to the USA Technologies network. 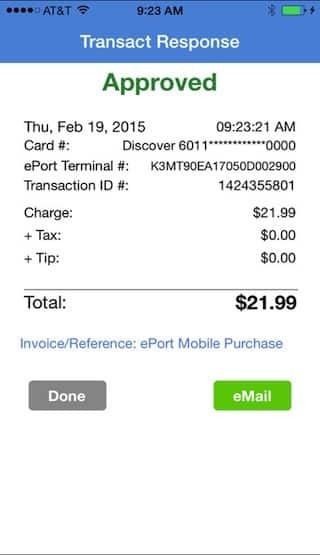 User can get receipt and email directly from the app. User can check local transaction report. This project was complex in terms of processing the payment without merchant account and encrypted card details can only be decrypted within the USA technology-processing network. Client was also wanted Simpalm to build USA Technologies ePort Connect Services compatible app to execute credit card payments. In this project we had to integrate external card reader called MagTek Dynamo encrypted card reader. We have integrated the ePort Mobile app with appropriate features and user has to be signed in and setup user account in USALive web portal to use this app. ePort Mobile is fully compatible with MagTek aDynamo card reader to process credit card payment processing. Tax Calculation, Local Transport Report and Digital Signature Processing Capabilities.